The Butler got robbed. Plain and simple. If there is one movie that was deserving of winning Oscars it was this one. To not even be nominated is a slap into the face of every film fan that care about more than just hype and political correctness Not saying that The Butler is perfect. Far from it. It is very flawed but it shines where it matters. It succeeds what 12 Years A Slave tried to do and miserably failed. The Butler will get to you and yes it does uses a gimmick that seems a little far fetched and probably more could have done with it. Still it manages to creep up at you and confront you with some truth. Historical facts are changed obviously but the reality of what transpires on the screen is hard hitting and emotionally effective. And the film is not even trying to make it easy to do so. We are dealing with real characters that can be very unlikable at times. Now I know Oprah Winfrey can act. And if there is some criticism I should add it is her acting. It's unremarkable for the most time. But when it matters it matters. She portrays a character that even when not that much focus is spend on how she develops. Her growth does influence how the story plays out. 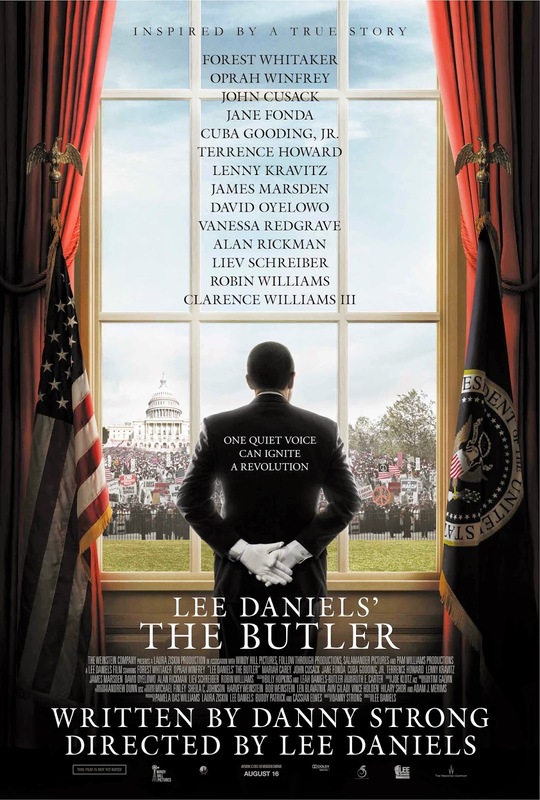 The Butler has a few incredible powerful scenes where some events and behaviour of characters (like that from Oprah's character) come together and fall into place. Don't get too hung up on the gimmick with the almost comical imitations of the presidents. It's just a device to hook you in to tell you the real story. An incredible powerful film that deserves far more recognition than it got. A must watch!